Producer Tom Staar returns to Toolroom Records for his debut single release, ‘Rocket’. 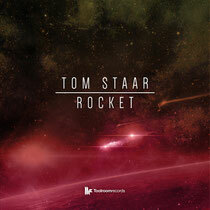 The name behind countless big records and recent remix of Dave Spoon’s ‘At Night’, Tom Staar’s refined craftsmanship is recognisable and has ensured his veneration amongst producers from all corners of the dance music scene. ibly one of the UK’s most formidable new talents, so 2014 may be set to be a huge year for Tom, starting with the release of ‘Rocket’. The release is already proving a big success, with its recent worldwide premiere on Steve Angello’s new BBC Radio 1 show and having received early support from the likes of Axwell, Thomas Gold and Danny Howard amongst others. From the off, ‘Rocket’ is driven by an intense rise of acid bass with relentless FX that drops to a hard hitting groove that is not for the fainthearted. It’s out now.